Three performers seduce the audience to go along on a trip for the senses. Hypnotizing in its intensity and magical in its simplicity, they give new life to the relationship between sound and movement: seeing becomes hearing and hearing becomes seeing. The performers exude a tremendous amount of energy, as they circle their arms, undulate and tremble with their bodies, cling intimately to each other and take the rhythm to its limit. Setting the senses in motion, WHILE WE STRIVE creates a physical and acoustic experience that arouses, affects and resonates. 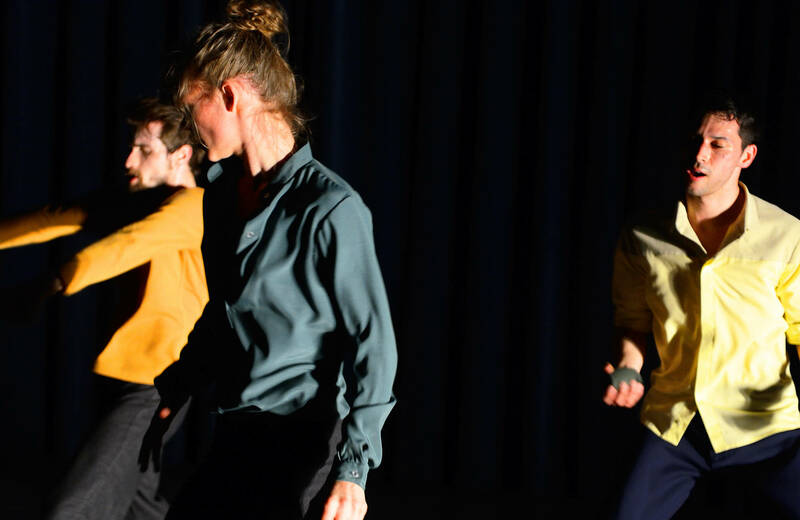 WHILE WE STRIVE is a SHARP/ArnoSchuitemaker in coproduction with DansBrabant. The project is funded by Performing Arts NL, VSBfonds, Fonds 21, Prins Bernard Cultuurfonds, bkkc, Provincie Noord-Brabant, and the Dutch Embassy in Paris, and supported by The Abrons Arts Center, Le CN D, un centre d’art pour la danse, and Centre de Développement Corégraphique Toulouse/Midi-Pyrénées. With thanks to ICK. WHILE WE STRIVE from Arno Schuitemaker on Vimeo.